Graduations, girl scout groups, boy scout groups, summer camp outings, recreational daytrips, educational seminars, church youth group retreats - we take them all. We want groups to have the opportunity to reap the benefits of exposure to the outdoors in a challenging but safe environment. 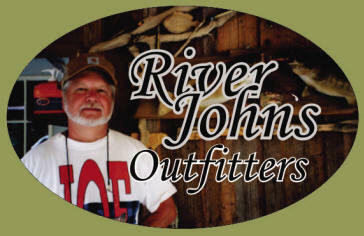 Youth Groups of all kinds are welcome to join in the fun at River John's. If it's just for a day or more... bring your group for a stay on the island and enjoy the surrounding water of the Little River. Think canoeing when planning a group outing or corporate meeting. Our River Island is large enough to handle groups of any size and we can develop special packages depending on your group's needs. 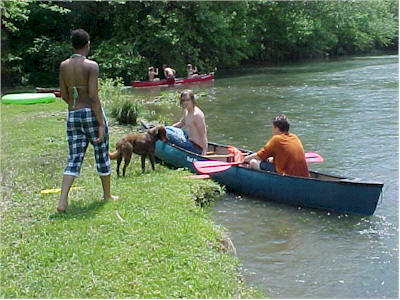 Canoeing is a natural team building experience and we have found there is no better way to relieve stress. We have put together special group packages and prices for company outings and conferences.